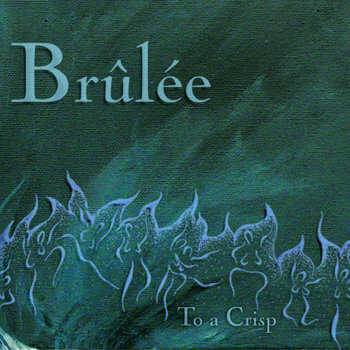 Scroll down to hear every song from the first Brûlée CD "To a Crisp". You can also click here to buy it on CD Baby, Bandcamp, Amazon, or iTunes! Brulee can play jazz sets at jazz clubs, indie-rock sets at rock clubs, acoustic sets in quiet venues, or shows that blend all these styles. The first CD: "To a Crisp"
This band started with a New Year's resolution on January 1, 2006 on the Micronesian island of Yap. After that, it took about two years to assemble the Brûlée family here in Washington DC. So why did it take us four more years to release our first set of songs? We’ve been BUSY, that's why! Since this band started, we have collectively navigated through two weddings, three and a half house purchases, three root canals, four babies, and one PADI open-water certification. We built two guitars, survived four breakups, and traveled to over 50 countries. Somehow, though, we seem to keep meeting for vaguely productive and fully therapeutic rehearsals on Tuesday nights. We even made it to the studio for two day-long sessions. The result is this CD.